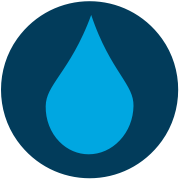 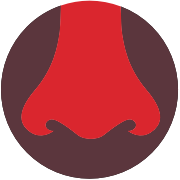 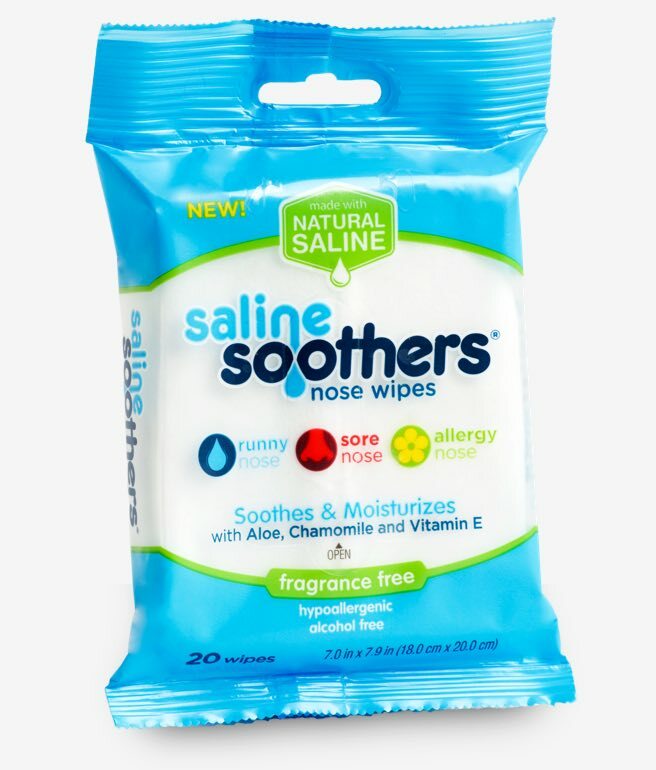 Saline Soothers are uniquely infused with Natural Saline, Vitamin E, Aloe, and Chamomile to soothe and moisturize tender noses. 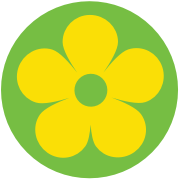 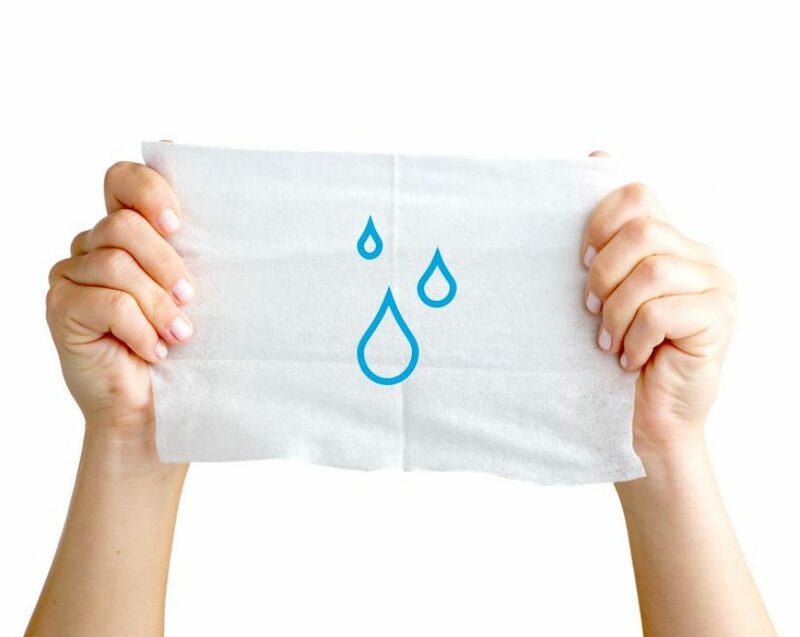 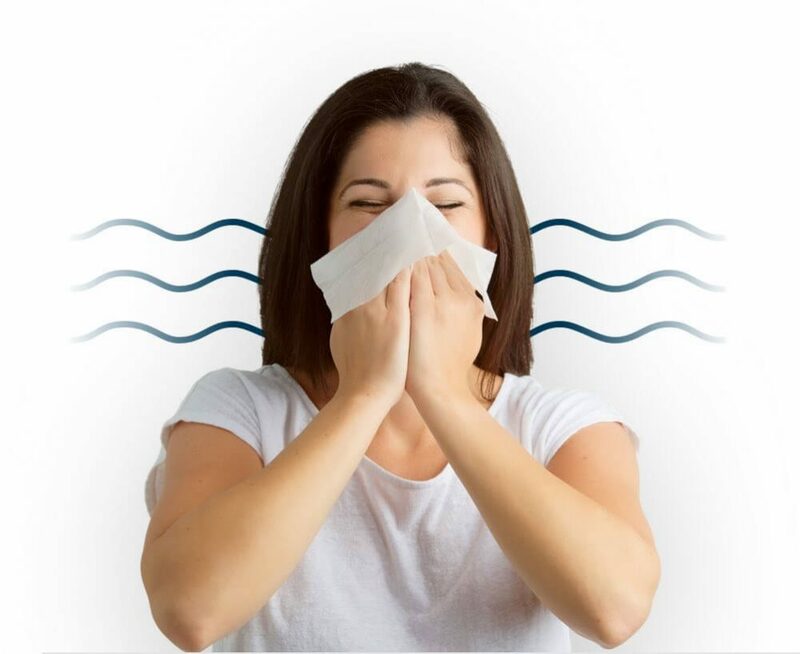 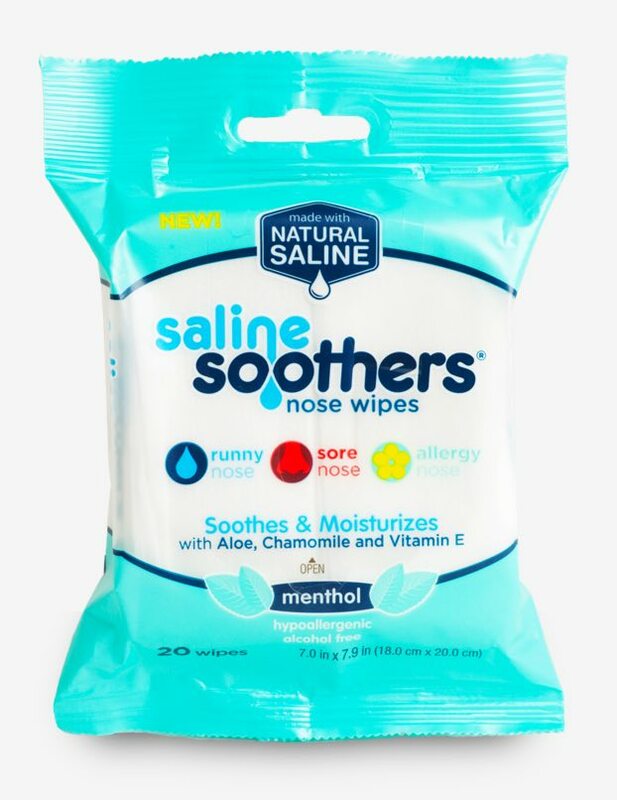 A gentle alternative to dry tissues when you suffer from colds & allergies. 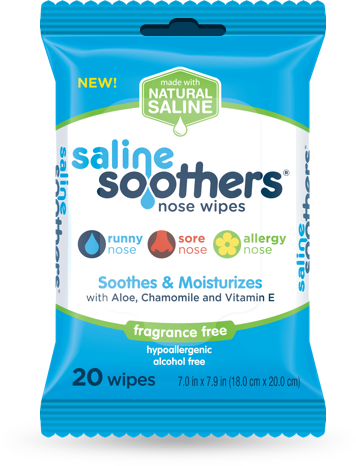 Saline Soothers® are infused with Natural Saline, Vitamin E, Aloe and Chamomile to soothe and moisturize tender noses. 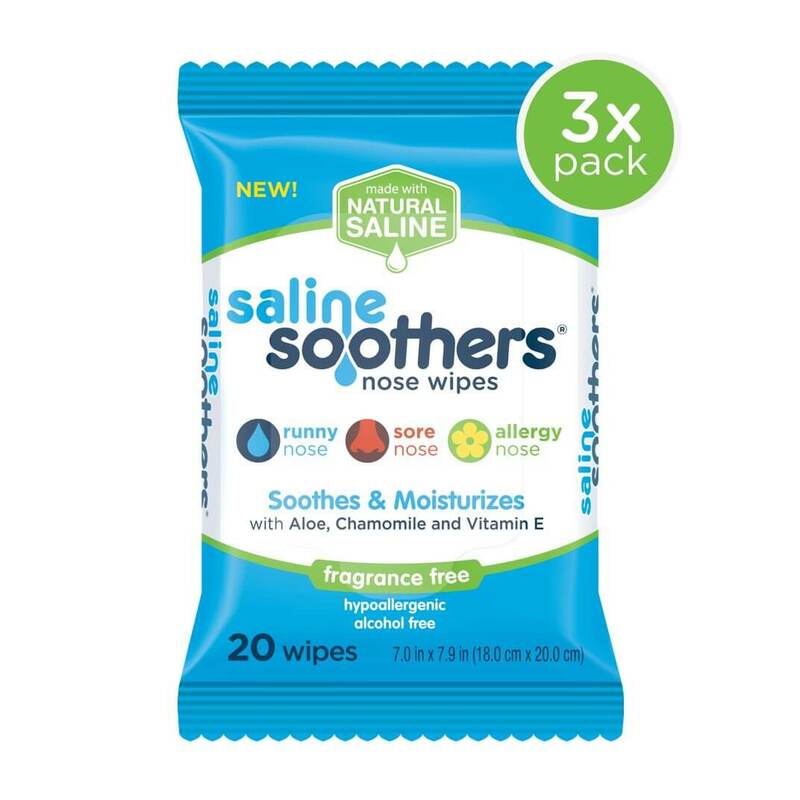 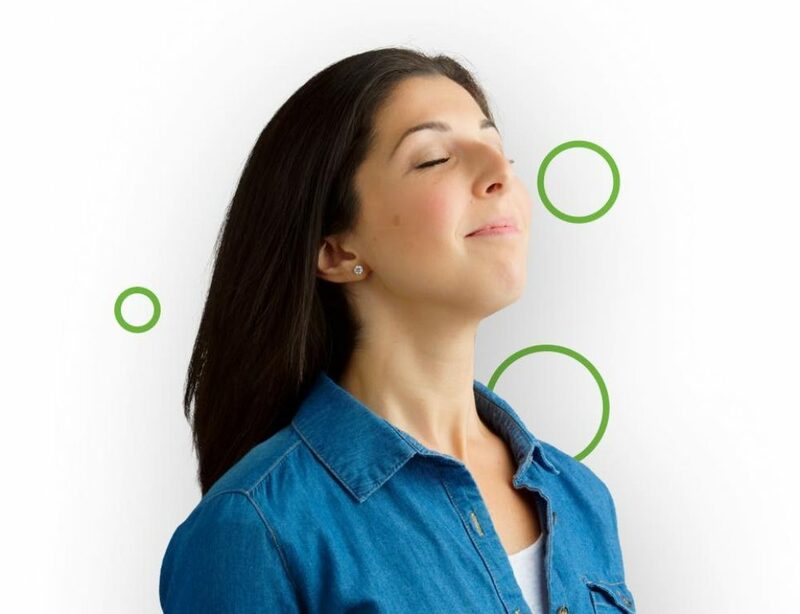 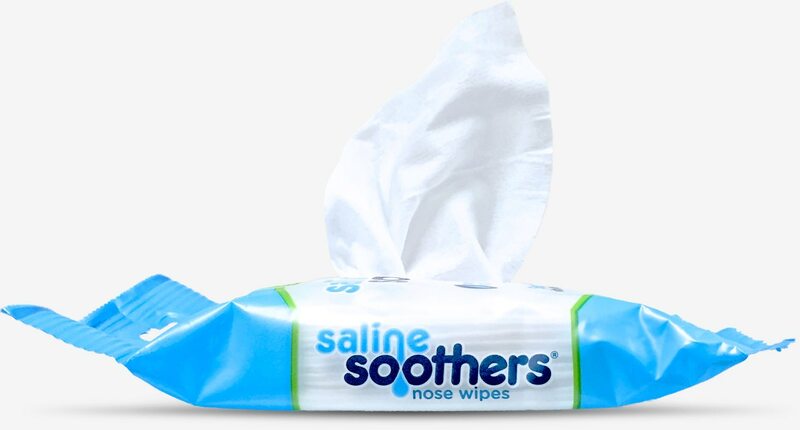 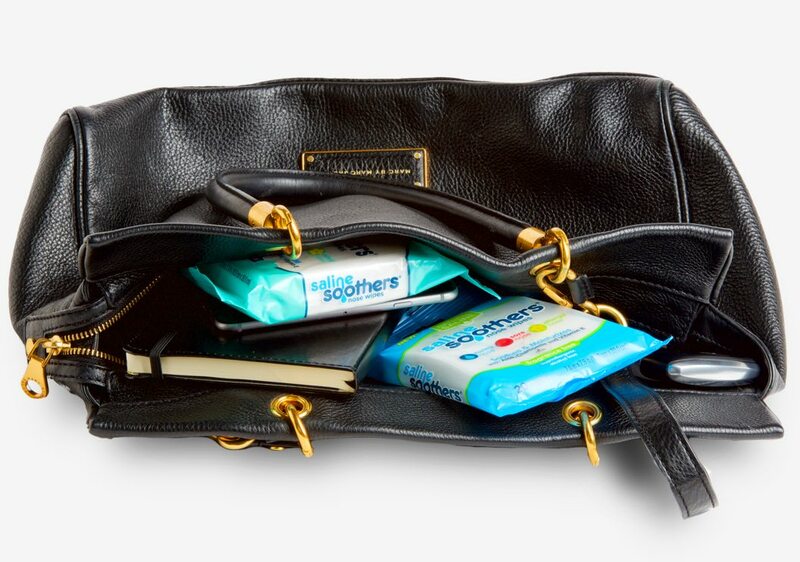 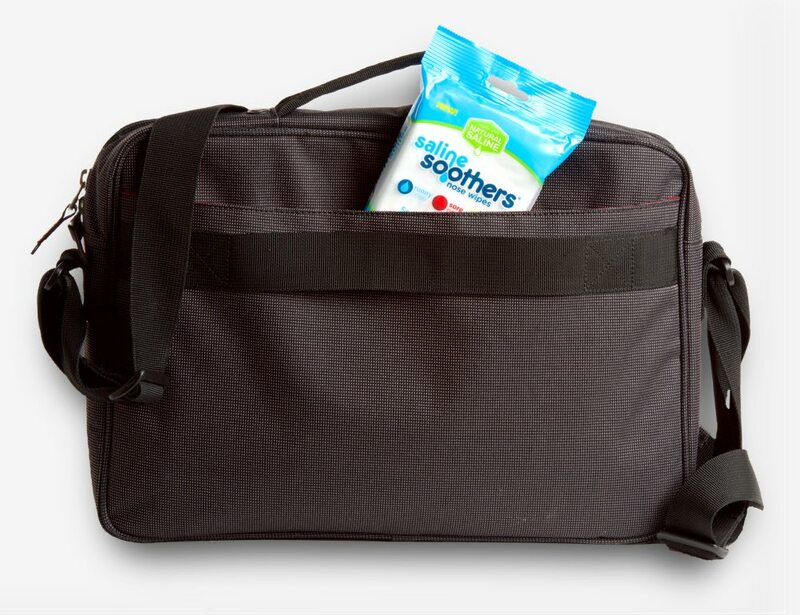 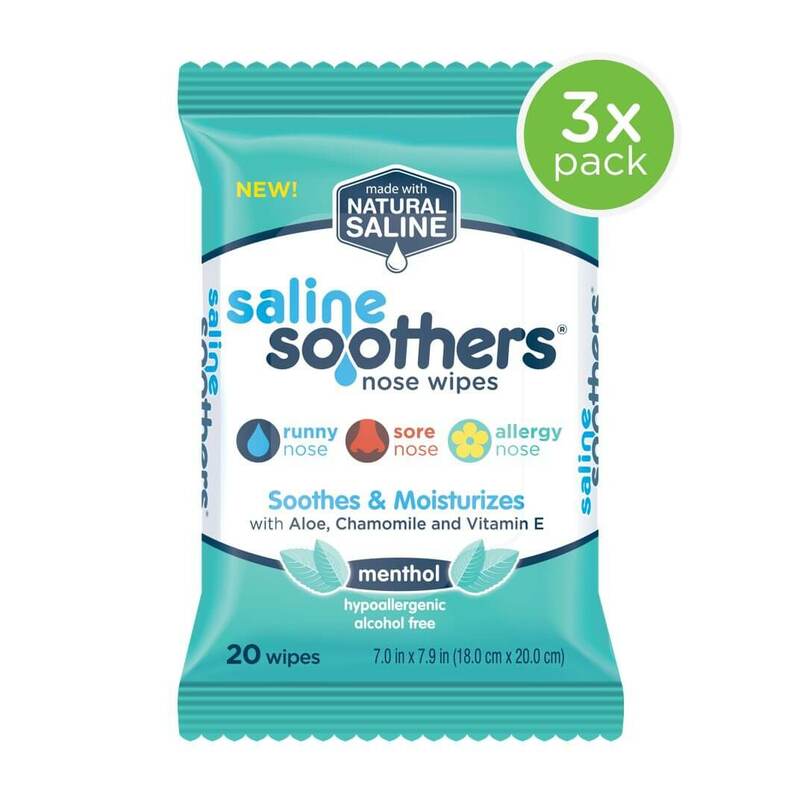 Soothe your sore nose and get back to your day with Saline Soothers® Nose Wipes.